“Yoo and torture” (referring to John Yoo, the author of the two memos mentioned above)—102. “Obama and Wright”—More than 3,000 (too many to be counted). 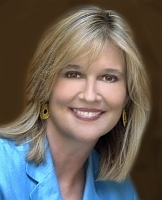 Kathleen Parker, a conservative columnist who is highly critical of the Forbes article depicting President Obama as a ‘Kenyan sympathizer.’ [Source: Crooks and Liars]Forbes Magazine encounters a firestorm of criticism due to its publication of a cover story alleging President Obama is driven by “anti-colonial” sentiments garnered from his Kenyan father (see September 12, 2010). The story was written by Dinesh D’Souza, a prominent conservative author and pundit, and has been praised and reiterated by conservative politician Newt Gingrich (see September 12, 2010 and After). D’Souza claims that Obama “supported the conditional release” of Abdel Baset al-Megrahi, the “Lockerbie Bomber,” because he sees al-Megrahi as a “fellow anticolonialist,” when in reality the Obama administration informed Scotland that it opposed al-Megrahi’s release. D’Souza claims that Obama spent the first 17 years of his life “in Hawaii, Indonesia, and Pakistan.” D’Souza admits that he erred in this claim, as Obama never visited Pakistan until he was 20, and then only for three weeks. 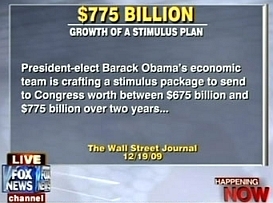 D’Souza claims that the 2009 economic stimulus (see November 18, 2008, February 10, 2009, February 13, 2009, February 17, 2009, February 23, 2009, February 28, 2009, March 9, 2009, April 9, 2009, April 16, 2009, June 9, 2009, and August 9, 2009) failed to reduce unemployment; the Congressional Budget Office (CBO) has stated that unemployment would be as much as 1.8 percent higher without the stimulus, numbering up to 3.3 million people who would not have jobs. Private analysts such as the Council of Economic Advisers agree with the CBO’s assessment. D’Souza claims that a controversial New York City Islamic center, which he calls a “mosque,” is to be built “near the site where terrorists in the name of Islam brought down the World Trade Center… at Ground Zero.” In reality, the proposed Islamic community center, Cordoba House (later renamed Park51), is two city blocks away from the site of the World Trade Center. D’Souza claims Obama does not believe in “American exceptionalism,” and says that Obama’s dreams are not “the American dreams,” but “something else… certainly not the American dream as conceived by the founders.” In reality, Obama has said time and again that he unequivocally believes in American exceptionalism, and has repeatedly stated his pride in being an American. 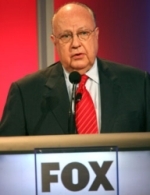 September 25, 2011: Fox News Attempting to ‘Dial Down’ Hyperpartisan, Inflammatory Rhetoric?